Here is a picture of a Certainteed XT30 shingle on the upper part of the roof that was installed by our certified Certainteed installers on March 19th, 2003. 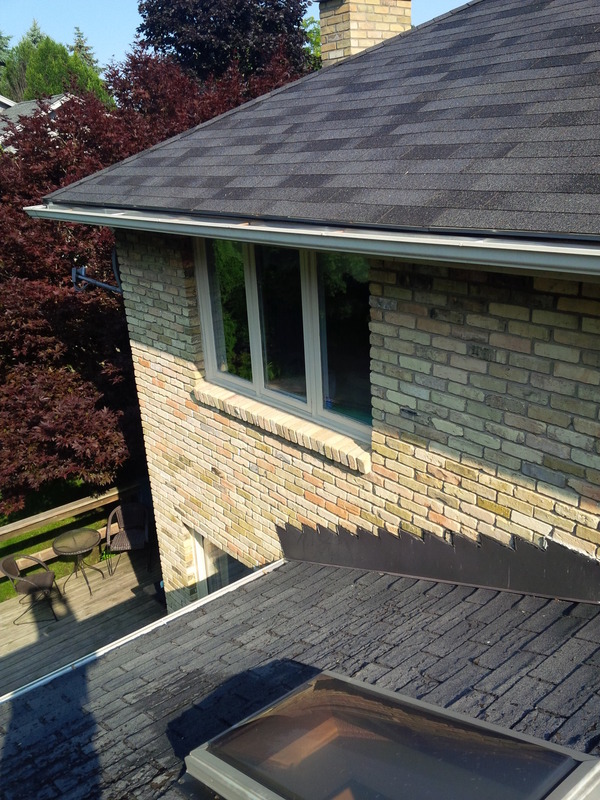 The lower area was done by another roofing company one year prior to the rest of the house (in 2002), however it was with a 25 year organic shingle. This picture was taken a few weeks ago and as you can see the Certainteed shingles look great, while the organic shingles are in need of replacement. Ask your contractor about quality, warranties and history of products you're looking at before making any decisions!